Notes From the Job Search is a group of individuals who gather weekly to discuss job search topics and compare notes with other local job seekers. Did you know that only a VERY small percentage of jobs available, are actually advertised? Helping you tap into the “hidden” job market is just one of the things we do. Weekly topics include resume reviews, mastering the elevator pitch, using online networking resources such as Linkedin, and more! The meetings usually run around 90 minutes, and everyone is encouraged to actively participate! No need to dress up – come as you are. We have nothing to sell! Our services are FREE! This is NOT a job fair. 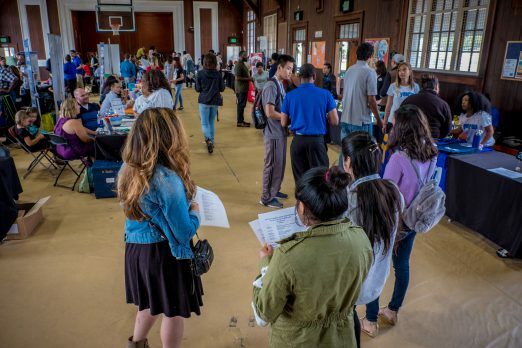 While you will probably NOT find a job at one of the meetings, we GUARANTEE that you WILL walk away from each meeting with a few new job search skills, a better resume, encouragement from your fellow group members, perhaps a few new network connections, and sometimes even a job lead! We continue to “lose” members as they find new positions, and we are always happy to see them leave. Please consider attending one of our meetings and see how we can be of assistance to you in your job search. This is one (WCELI Program Director) that we’ve posted before and just haven’t yet found the right candidate. The person who takes the position will have a leadership responsibility for integrating many WCELI services into a seamless whole for the benefit of White Center residents. Requires a self starter, a systems thinker, someone that can build relationships in challenging situations – early learning experience would be a plus, but isn’t essential. Pays well – good benefits. The job listing is here; you can apply online by going here. September 16th, 2008 Tracy Posted in Jobs Comments Off on Looking for work? 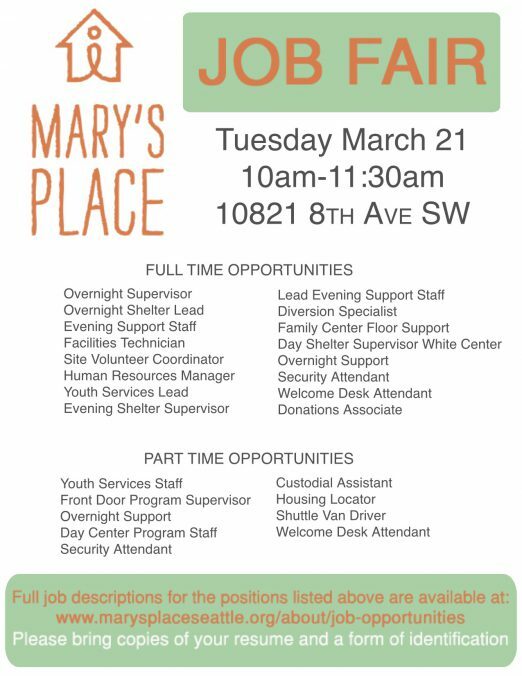 From partner site WSB: A child-care job opening specifically targeting White Center as well as West Seattle. Check it out here.